Nomads CA - Culture Lab is a small company made up of two people, Arianna Dagnino, PhD, and Stefano Gulmanelli, PhD, currently based in Vancouver, Canada. Arianna and Stefano have more than twenty-five years of experience in diversified professional environments and in numerous countries around the world. Combining their expertise they are able to provide professional services in the areas of journalism, publishing, translation, localization services, marketing, market monitoring and issues management. Our potential clients are individuals, groups and organizations that work on, for and with culture in its broad definition. Follow us on our blog: "Book-Loving in Van. Reading, Writing and Living on the Canadian West Coast"
Albania, Australia, Canada, China, Colombia, Egypt, France, Jordan, Kenya, Israel, Italy, Malawi, Mozambique, Namibia, Russia, Saudi Arabia, South Africa, Spain,Tanzania, Uganda, United Arab Emirates, United Kingdom, United States, Zambia, Zimbabwe. Our clients: Future Concept Lab; The World Bank; The European Union; Didael Knowledge Technology Services; DSMedigroup. 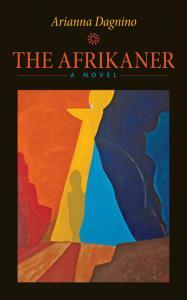 Published Books: The Afrikaner. A Novel, Fossili, a transcultural novel; I Nuovi Nomadi, on neonomadism; Uoma, scenarios for the 21st century; Popwar, NetActivism Against the Established Order; Jesus Chryst Cyberstar, an agnostic pamphlet on Internet's values. Inspirational speakers on: innovation, change, inter-cultural experiences, cultural globalization, neonomadic worldviews and mobile life-styles.